On the island of Gavdos in the Levantine Sea, as far south as Europe extends, a group of Russian physicists has come to retire. But they have not travelled to the island to die. They have travelled there to live. Forever. One of their number, Andrei, had been exposed to radiation while on a voluntary mission to Chernobyl. But instead of taking the pills his doctor recommended, he turned his back on science and his mind towards the old Russian philosophers. He, and others like him who came to settle on Gavdos are known as the immortals. For they believe that through the mind’s sheer will they can programme themselves not to die. The physicists on Gavdos may have abandoned the scientific method in their quest for everlasting life, but that does not mean science cannot make us immortal. In fact, a growing number of people in the field of gerontology believe we are much closer than most could ever imagine to extending the human lifespan by hundreds of years. 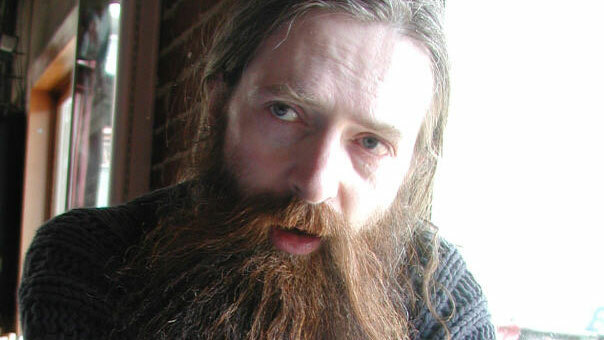 Cambridge University’s Aubrey de Grey, chief science officer of the Strategies for Engineered Negligible Senescence (SENS) Research Foundation, is famous for his belief that the first person to live to 1,000 may already have been born. As Dr. de Grey tells The World Weekly, he estimates that within 20-25 years there is a 50% chance that scientists will have developed therapies to prolong the human lifespan. 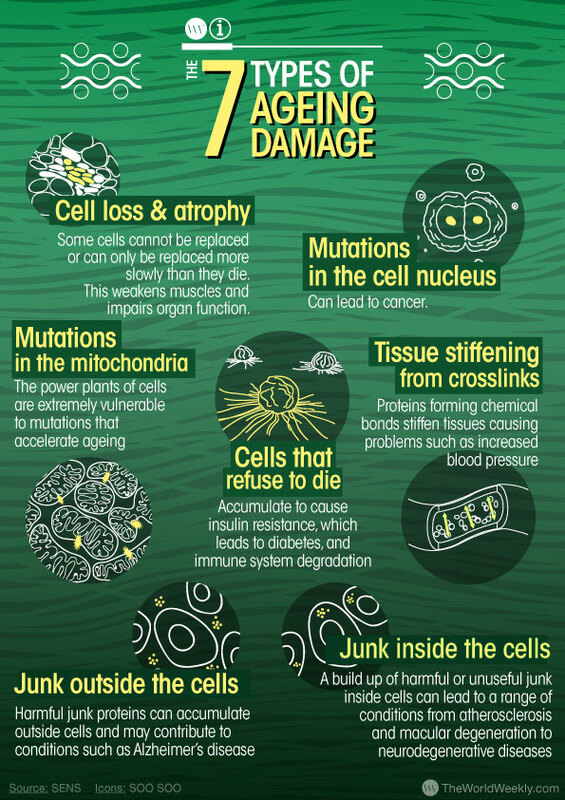 From cancer and Alzheimer’s to heart disease and diabetes, there are many things that can kill us in old age, but at the root of them all is the burden of decades of unrepaired damage to the cellular and molecular structures that make up the functional units of our tissues. SENS believes that faced with the diseases and disabilities caused by this damage, today’s medicine is too focused on dealing with the symptoms of old age. Instead, it wants to focus on prevention. What if ageing was not an inevitability? What if it was just a disease like any other? And what if we could cure it? Mythology is littered with examples of cures for ageing from the fountain of youth and the philosopher’s stone to the Chinese peaches of immortality, but the quest for everlasting life is a relatively new one in science. Nevertheless it has a number of promising avenues of research. SENS is funding research from teams around the world looking at a variety of cutting edge techniques to combat the seven distinct forms of damage that occur to our bodies over time and contribute to ageing [see infographic]. Although the world is a long way from a single pill that can turn back time, the work being done by scientists is tackling the root causes of ageing in a number of fascinating areas, and existing drugs too are showing signs of success. Our immune systems become less effective at protecting us from infections as we grow older. One problem is with the thymus, where T cells vital to the immune system develop. The thymus grows during childhood but begins to shrink from puberty onwards, decreasing T cell production and weakening the immune system. Wake Forest Investigative Medicine is looking into tissue engineering techniques to regenerate the thymus and fix the problem. The scientists strip a donor organ of its original cells, leaving a scaffold onto which cells derived from the transplant recipient can be seeded. Because the final organ is populated with the recipient’s own cells, researchers expect it to be accepted by the patient’s immune system. The scaffolds have so far been successfully engineered from rodents and pigs. Eventually the scientists will look to engineer complete thymus gland transplants for mice lacking thymus glands to see if they can achieve T-cell production. Immune system degradation cannot be attributed to one single factor, however, and regenerating the thymus may not be enough to treat this particular symptom of ageing alone. Another problem is cells that do not die. A process known as senescence prevents cells from dividing when they detect abnormalities. This guards against cancer, but it also harms the body as once cells become senescent they do not die - ignoring programmed signals that would normally remove them from the body - and continue to accumulate, often secreting molecules that trigger unwanted immune responses, disrupting our immune systems and making us more vulnerable to disease. The Buck Institute for Research on Aging is looking at agents that could selectively kill senescent cells or interrupt the secretion of harmful molecules in an effort to prevent another cause of immune system damage that comes with ageing. Failing eyesight might seem to be a very different problem from heart attacks and strokes, but the same process in ageing is behind all three. In the course of cells carrying out their everyday functions, their contents become damaged or outlive their usefulness. The lysosome within cells acts almost like an incinerator, breaking down unwanted materials. 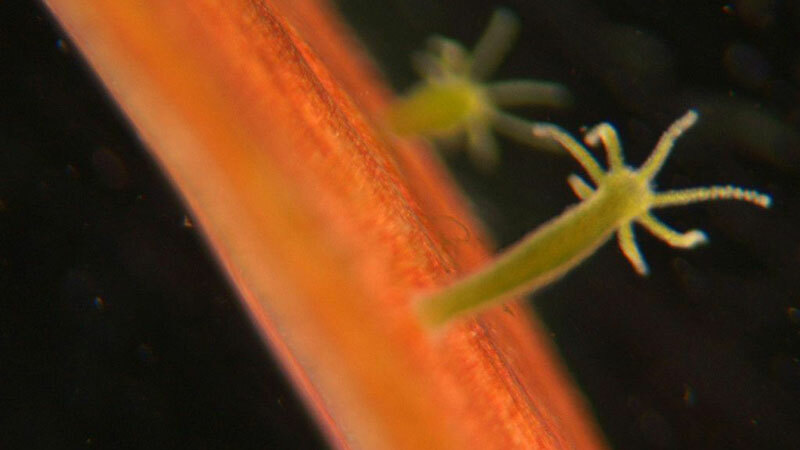 But when these are too tough to break down they build up and hinder cell function. It is believed this damage can cause a number of age-related diseases including Alzheimer’s, heart disease and macular degeneration, a leading cause of severe visual impairment and partial blindness in people over the age of 65. Although the causal relationships have not yet been established, SENS believes the latter may be partly caused or at least exacerbated by waste products in eye cells as the presence of so-called drusen is an indicator of macular degeneration. As such, scientists at the SENS Research Foundation Research Centre are testing enzymes for their ability to restore the health of cells loaded with toxic waste products. They have identified a human enzyme which they have codenamed SENS20 that has the ability to break down the toxic vitamin A metabolite A2E in vitro. The goal is to turn back the clock on aged eyes, achieving no less than the Biblical feat of giving sight to the blind. We also see that our immune systems contain cells known as macrophages that protect our arteries by absorbing toxins which are then broken down by their lysosomes. One toxin, however, termed 7KC, is too much for the the macrophages’ lysosomes and as it accumulates it kills the macrophages off and they build up in artery walls leading to atherosclerosis, the plaques that cause most age-related heart attacks and strokes. Science is looking for an answer to this too. A team at Rice University is attempting to identify enzymes able to break down 7KC. They report early data appears promising. Experimental drugs are also providing exciting avenues for turning back the human body clock. Following successful trials on mice, David Sinclair of Harvard University has begun early human trials of a new drug to treat scencense, what IFLScience calls a “molecular fountain of youth”. Last December, Professor Sinclair’s team published a paper in Cell revealing that they had been able to significantly reduce the functional age of muscle tissue by treating the mice with the metabolic co-enzyme NAD+. If the relative effects were replicated in humans, it would mean a 60-year-old with the physique of a 20-year-old. David Sinclair believes this anti-ageing therapy could prove a breakthrough on the scale of antibiotics, which have become ubiquitous and have revolutionised the treatment of bacterial infections, turning killers into minor inconveniences. Could ageing be similarly conquered? "Some people say it's like playing God, but if you ask somebody 100 years ago, what about antibiotics? They probably would have said the same thing," he told ABC’s Sue Lannin. "Some people worry about big advances in technology and medicine, but once it's adapted and it's natural for people to live until they're 90 in a healthy way... we'll look back at today like we do at the times before antibiotics when people died from an infected splinter." But it is not just experimental drugs that might hold the key to immortality. New research suggests existing drugs hold promise for life extension as well. Rapamycin, developed as an anti-rejection drug for kidney transplant patients, has been shown to extend the lives of mice by more than 10%. The aim now is to expand the experiment to middle-aged dogs to observe the drug’s effects on larger mammals and eventually to see if it could have similar benefits for humans. Another potential wonder drug is metformin, the most widely used medicine for diabetics. Scientists have found it is not only useful for diabetics, however, it can also slow ageing and increase lifespan in non-diabetics. It may also be able to suppress heart disease and some cancers. Belgian doctoral researcher Wouter De Haes and his colleagues at KU Leuven found that metformin is able to slow ageing by increasing the number of toxic oxygen molecules, known as free radicals, released in the cell and this, against expectations, serves to increase cell robustness and longevity in the long term. “As long as the amount of harmful oxygen molecules released in the cell remains small, it has a positive long-term effect on the cell,” explains Mr. De Haes. “Cells use the reactive oxygen particles to their advantage before they can do any damage." Antioxidants, which work to neutralise free radicals, are all the rage today. They are packed into creams and skin care products and food and drink from smoothies and green tea to red wine are touted for the antioxidants they contain. For a long time they have been commonly thought to be effective in the fight against ageing, but in fact they could get in the way of metformin’s mechanism. So are antioxidants just a fad? While antioxidants may turn out to prove that today’s miracle can become yesterday’s fad, one thing almost certain to go on making scientists excited is the progress being made on stem cell research. External interventions to repair failing organs are often limited by the demand for transplantable organs far outstripping supply. But stem cell therapies hold the potential to offer a renewable source of replacement cells and tissues that could treat all manner of problems from macular degeneration, heart disease, diabetes, and forms of arthritis to injuries such as burns and spinal cord damage. It may even be possible in the future to use stem cells to grow entire replacement organs, eliminating the problem of the body rejecting donor organs. Researchers at Lund University in Sweden simulated Parkinson's in rats by killing dopamine-producing neurons on one side of their brains. They then converted human embryonic stem cells into neurons that produced dopamine and injected them into the rats' brains to find that the damage was reversed. The scientists hope to be ready for human testing by 2017. 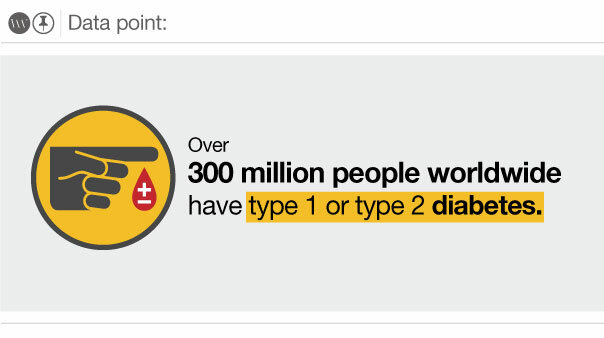 Other recent breakthroughs in stem cell research include the possibility of a cure for type 1 diabetes after Harvard Professor Doug Melton - spurred by his children’s condition - found that stem cells can manufacture a new supply of beta cells in the pancreas which, in type 1 diabetics, are attacked and destroyed by patient's’ immune system. Following successful tests on mice, National Geographic reports human testing could begin in three years. In Japan, meanwhile, a stem cell transplant was carried out on a woman suffering from macular degeneration. In the first operation of its kind, adult cells made from the patient’s skin were used to repair the damaged eye. Researchers at Stanford University in California have also managed to make stem cells into the hair cells in the ear that are destroyed in patients with hearing loss. These are just a few of the many recent advances in stem cell therapies and with their wide-ranging potential, it is little wonder why scientists see them as integral to the quest for immortality. Despite their vast potential for future treatments, human stem cells are at present limited in their abilities. They may be able to repair damage to our brains, but they cannot yet grow us a new head. One creature, however, named for the abilities of its mythological counterpart, can grow a new head: the hydra. Hydrae are tiny freshwater invertebrates and their stem cells, unlike ours which have long cycles and only kick into gear when needed, reproduce continuously. This process has made hydrae, in effect, biologically immortal. Scientists experimenting on hydrae in Geneva hope they could tell us something about our own ageing process and how we might be able to slow it down. Brigitte Galliot, director of the laboratory of regeneration and adult neurogenesis at the University of Geneva tells Le Temps that her team is currently focusing on autophagy, "a process through which cells digest their own content". As Professor Galliot says: "It's about understanding how to promote an efficient autophagy, which would enable our cells to digest the increasing number of aggregates we produce as we age, and which are at the root of Alzheimer’s disease, as well as other neurological pathologies… I'm not saying that we'll have a ready-to-use molecule in five years. What we're doing is very basic, but the implications can be very relevant. We do have, at the moment, a molecular candidate that is most interesting." Rapamycin may even hold the answer to this as it boosts autophagy. Professor Galliot hopes the hydrae will teach us, if not to become immortal, how to “die in perfect shape”, essentially living healthier lives for longer rather than spending old age bed-bound. Google engineering director and futurist Ray Kurzweil believes the key to everlasting life is in nanotechnology and he wants to be able to extend his life as far as possible through current means until the nanotechnology revolution that he envisages will augment our immune systems comes about. The 66-year old is currently taking over 150 supplements a day as a first “bridge” to immortality. One of the main objections scientists searching for the key to immortality face is over this very question of fitness. Many people might want longer lives, but few would say they would like to live for centuries in an ever deteriorating state of frailty. But those seeking to turn back time in our bodies do not simply want to make us live longer, but to live healthier for longer. Dr. de Grey sees it as a tragedy that many people are not willing or ready to believe that ageing will ever be brought under control and so there is no political or commercial will to fund the research. As such he has had to donate millions of dollars of his own money to help fund the projects SENS finds so promising. He hopes this will change as more proof-of-concept results emerge, and his ideas are gaining greater mainstream acceptance, although he is frustrated by how slowly perceptions are changing. SENS has also faced opposition from those afraid of the social implications of an immortal population. Great leaps forward in scientific understanding have not always brought universally positive results for humanity - splitting the atom being the prime example. What risks might curing ageing bring? Should we be interfering with the natural order of things? Are there some people, dictators for example, for whom eternal life would spell very bad news for humanity? How will pensions be paid for? Would we all have to work forever? What about overpopulation? 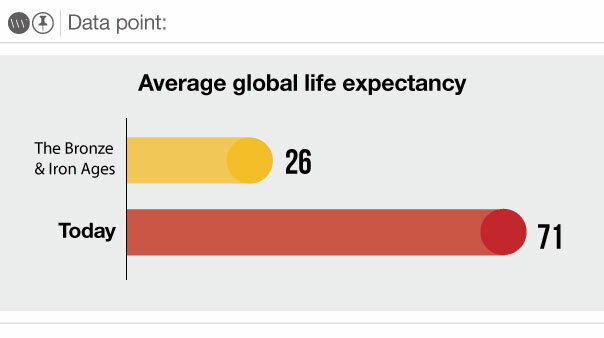 And what if the solution to overpopulation meant a dystopian scenario in which only the very rich could afford to extend their lifespans indefinitely? The initial tools SENS and other bodies are looking into will not be perfect and will not straight away be able to rejuvenate a person for a millennium. But they may be enough to meet Dr. de Grey’s concept of a longevity escape velocity, that is the realisation that once we have those therapies we will probably continue to improve their comprehensiveness fast enough to make them effectively perfect even though they are never actually perfect. Thus people will go on to live longer and longer as new therapies become available before the first people to take the original therapies expend their extended lifespans. Naturally, such therapies, even if they are able to eliminate ageing entirely, will never be able to make us completely immortal. We will still be vulnerable to getting run over or succumbing to a deadly infection. But Dr. de Grey points out, given the risk of death per year from causes unrelated to ageing in the developed world is under 1 in 1,000, this means that the first person to live to 1,000 could already be walking among us. In many ways, Dr. de Grey is as much a campaigner as he is a scientist. Conquering ageing is his mission, but to do that he must convince a sceptical society that it is possible and wake it from what he sees as a “pro-ageing trance”. It is his ultimate goal to save 100,000 lives a day, something he has previously compared with preventing 30 World Trade Centre attacks. And if we begin to think of ageing not as an inevitability, but as a disease like any other, or a damage - an attack on our bodies not by any terrorist but by time - and if scientists and politicians and businesses and NGOs commit the resources to fighting ageing that they have to combating and preventing disease and terrorism, then perhaps immortality might just be in our grasp. The Russian physicists on Gavdos may have been right after all. Although we might not be able to programme our minds not to die, pursuing the scientific path to everlasting life is in part about changing our states of mind and how we perceive ageing. What if we didn’t have to age?